Your want your ceremony to be a reflection of your relationship and commitment. We want to help you make it beautiful, and something that will provide memories you'll cherish. Our wedding consultants have years of experience in wedding planning with brides of all ages, personal styles, and backgrounds. We know that wedding plans continuously change and we will work with you at each step of the way. 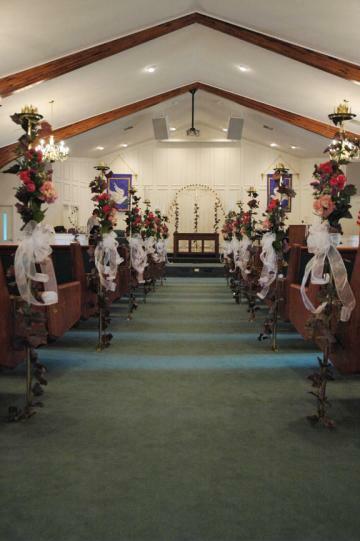 Our years of experience have allowed us to work in many local churches, hotels, and other facilities so we are able to offer decor suggestions for each venue's unique layout. We can suggest the finest wedding flowers for both standing and floor flower arrangements, aisle runners, unity displays, archways, and are ready to discuss any custom flower arrangements to make your ceremony something every attendee will remember for years to come. 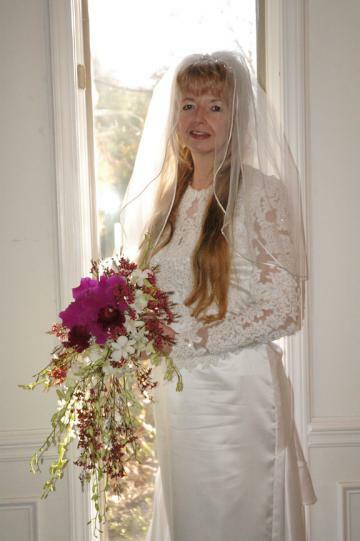 See some of our wedding flowers work. Part of making sure that your wedding flowers are perfect is making sure that each participant is well attended with personal flowers. Personal flowers include your bridal bouquets, bridesmaid bouquets, boutonnieres for fathers, groomsmen, and the groom, and corsages for mothers and grandmothers. Our wedding consultants have years of experience in creating personal flowers that can either match a wedding theme or bring out each attendant's unique personality. We can build your groom flowers and handmaiden flowers to match any ideas you already have, or we can suggest something new, using the latest in floral fashion trends. We follow all the latest trends in personal wedding flowers, from nosegays, to wrist corsages, to floral hair pieces. Get ideas or just enjoy the photos in our personal flowers gallery. Whether your reception is held in the same space as the ceremony, or in a separate room or venue, let us create the perfect environment to celebrate your commitment. Our designers will work to ensure that every photo taken shows friends and family surrounded in a beautiful, jubilant, and joyful setting, made that way with your custom designed reception flowers. Hardin's Gardens Greenhouse & Florist can produce unforgettable reception flowers, including centerpieces, flowers for the gift and serving tables, wedding cake toppers, throw bouquets, and any other floral needs. We design with you and your style in mind. Hardin's Gardens Greenhouse & Florist can't wait to be part of your wedding celebration with the best in wedding flowers. Our photo galleries show examples of our work. 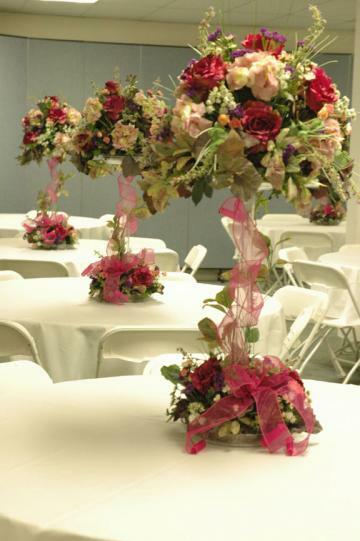 See how flowers can make your reception an event to remember forever here.